Fill out the Room Addition Title 24 information below. You will fill out the form, upload plans, and pay via credit card or PayPal. The turnaround time for the report is approximately 3-5 business days. This could take longer if all the information request on the form is not provided for the report.Please be sure to read every questions carefully and answer them correctly otherwise the outcome of your report may change. These codes apply to the additional space being added to an already existing building. 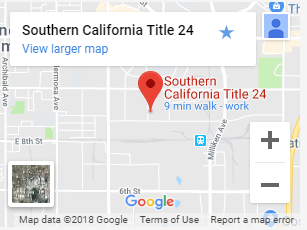 The California Building Standards Code, part 6, of the energy code that any additional space or room shall meet all the applicable Title 24 requirements based on your addition. HVAC, insulation, water heaters, windows, electrical controls, and outdoor lighting systems of any new additional rooms and spaces should meet the energy code. This report affects the assemblies of the new additional spaces of an existing building. Through the performance approach, calculations are carried out to determine that the existing energy systems together with the altered energy features all meet the requirements of energy code. Exceptions to registration are only applicable to scenarios where the heating and cooling systems are to remain existing and the duct work is being extended less than 40 ft. Some building department may exempt you for the report if there is less than 10% of building being altered. Note that, sometimes while adding space to a building, you may or may not need to upgrade the existing features. For instance, if you want to add s.f. to your home you can leave the existing water heater and still be in compliance. 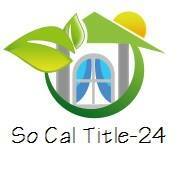 The new Title 24 rules and regulations are tough and as such total compliance is a must. In some cases, changing to a new tankless water heater could bring you into compliance. A small misgiving change can affect the energy efficiency thereby affecting the compliance results of your report.